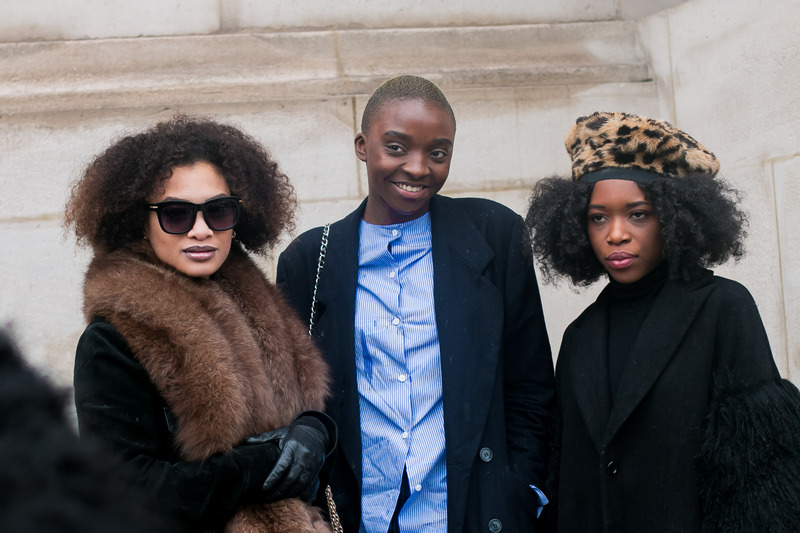 Paris Fashion Week was fire and brought all the #BlackGirlMagic to the street style scene. From berets to pops of color to bold plaids and more, the trends showcased in The City of Lights were, well, lit. Peep the looks below and get ready to get your style goals together. When the weather is unpredictable and has absolutely no chill, bundle up with a bit of plaid to set off an all-black look. A cool, colorful print that never goes out of style? Bet that. Bomber jackets were everything last season, and this new new is no different. Pop one like this over any look and instantly dress it down, making it the perfect accessory. Statement pants can seem daunting, but they are definitely the move. Posting up in a bold pair like these can instantly transform your outfit, taking you from school day to date night in a matter of minutes. As in shades of color. Your clothes aren’t the only way to turn up your look, after all. Your hair can be your best accessory, and with so many options — from clip-ins to hair dye to wigs — you can change your ‘do to transform your entire look on the daily. Reimagining your #OOTDs with what you already have in your closet is easy when you master the art of mixing. Throw on some fur with that faux leather. Rock canvas and cotton together. Whatever your choice, just make it #werk. Miss our PWF coverage on Snapchat? Follow us now, so you never miss out again! And don’t forget to tell us which looks are your faves in the comments below.